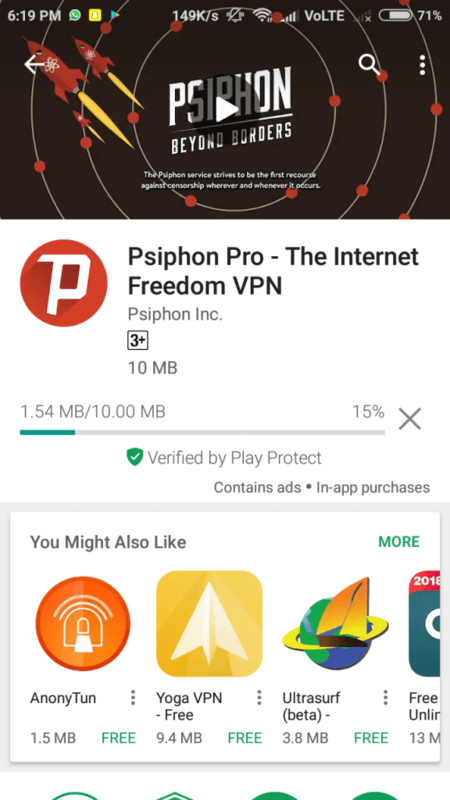 Psiphon Pro VPN: Hey guys, in this post I will tell you how can you download Psiphon VPN on your phone and use it. Basically a VPN is a server which will encrypt our data we send to websites when we are connected to internet. It makes our data unreadable to others who can intercept the network (Man in the middle Attacks performed by Hackers). Personally I use VPN in my college because they block social networking sites. By using VPN i can access any website active on the internet. Psiphon VPN is my favorite VPN application. You people can try all of them and decide which app suits your needs. Free VPN apps display ads so that they can generate Revenue and some give only a limited amount of data to use per month like 500 Megabytes/month. If you want to go beyond the limit you have to purchase them. Here comes the main part, we cannot blindly trust any VPN provider. Some VPN providers LOG your activities on the internet which will ruin the internet freedom. So we need a VPN which doesn’t LOG users. 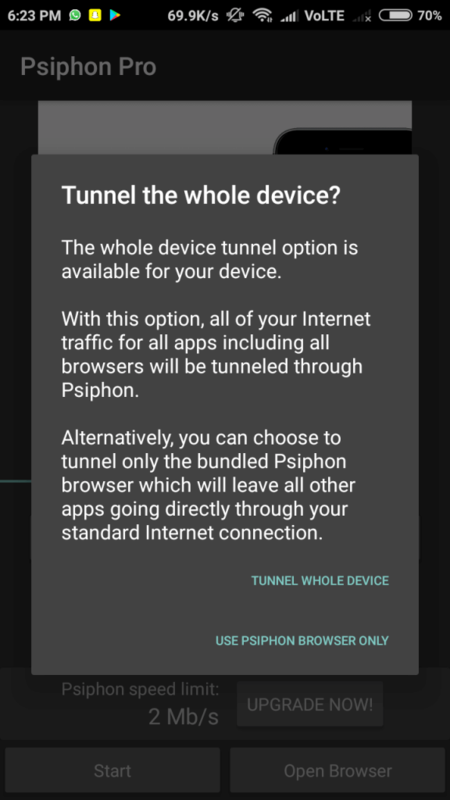 One of the most trusted VPN in the market is Psiphon. Psiphon is a reputated VPN service provider. 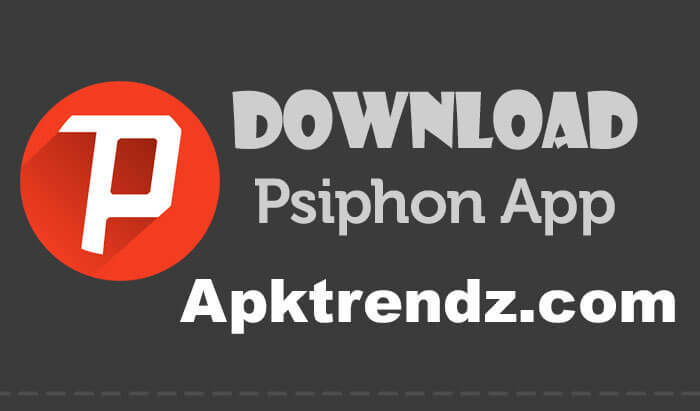 It is been developed by Psiphon inc.
Once the APK file is downloaded follow the below steps. Read all the permissions and then hit install button, It takes 10-30 seconds depending on your device specs. After, The installation process finishes we’ll use the app. 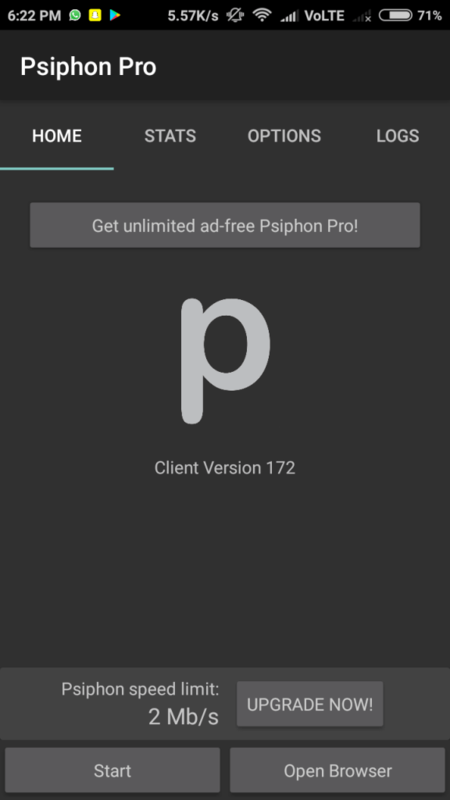 Now open the Psiphon Pro app. You can find start button on bottom left side of the device screen. Click on Tunnel Whole Device. Wolah! We are now connected to VPN check your IP address you can see your IP is changed. Still, have doubts? Didn’t understand? It’s okay! Comment down your doubts we will clear your doubts. Liked the Article? Show your interest in sharing this article to your friends using our social networking buttons :). Stay tuned at Apktrendz for more cool tips & tricks like these.